If you are thinking of buying an older home, you should definitely have a home inspection performed before you agree to the purchase. One of the things that the inspector may inform you of following the inspection is that the home has galvanized plumbing rather than the copper or PEX plumbing that is standard in newer homes. Does this mean you should not buy the home after all? It depends. Here are a few questions to ask yourself and the inspector before making a decision. How Old Are the Pipes? Galvanized pipes were common in homes built prior to 1960. Although many factors contribute to how long pipes last, galvanized pipes are commonly considered to have a life expectancy of 50 years. This means that galvanized pipes are likely on their last legs and will need to be replaced soon. The question is: how soon? If the home was built in 1960 and the pipes have been well maintained, you may be able to squeeze a few more years out of them. On the other hand, if the home has original pipes from 1920 or 1930, replacing them should be top priority. If the pipes are very old and you’re not willing to have them replaced, it may be best to walk away from the sale. On the other hand, if the home is a bit newer and you do not mind handling this maintenance in a few years, you can move on to investigating the other factors discussed below. One of the reasons why galvanized pipes are no longer used is that they tend to accumulate mineral deposits. As the deposits grow thicker, they begin to impede water pressure. Turn on the water at several taps — or ask your inspector to do so — and evaluate the water pressure. If the pressure is low, you will need to plan on having the pipes replaced sooner rather than later if you buy the home. Galvanized pipes were originally coated with zinc to prevent rust formation. But as the zinc wears away, these pipes begin rusting. Try to visit the home after the plumbing has not been used for a few days. Turn on the water, and pay attention to the color. If the water is orange, yellowish, or brown, the pipes have begun to rust. You’ll need to have them replaced soon to prevent staining your clothing and sinks, and so that leaks don’t start developing. Are There Signs of Repaired Leaks? Once galvanized pipes begin developing leaks, additional leaks are usually just around the corner. Have your home inspector look over the pipes for evidence that the old homeowners have had leaks repaired recently. They should look for water marks on drywall and ceilings, along with repairs made to the pipes themselves. If there have been a lot of leaks already, you can bet that there will be more in the coming years. If you purchase the home, you may find yourself dealing with water damage until you’re able to have the pipes replaced. If you cannot afford to have the pipes replaced very soon, you may be best off walking away from a home with galvanized pipes that have begun leaking. There are plenty of gorgeous, well-maintained homes with galvanized plumbing. 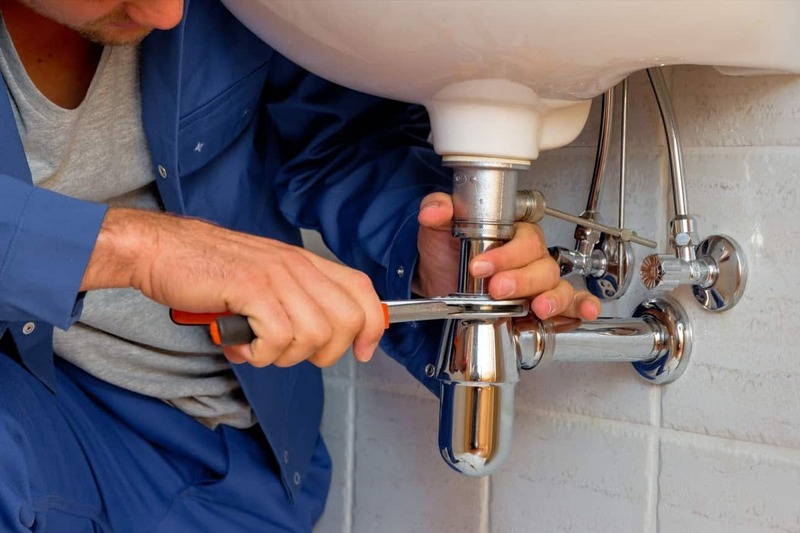 As long as you’re willing and able to have the home re-piped when the need arises, there’s no reason to walk away from a home with galvanized plumbing that is still in decent condition. If your home inspector does discover any leaks or you are ready to have the pipes replaced, contact Rapid First Plumbing to schedule an appointment.